A veteran arrived at Zephyrhills Lodge in dire need of financial assistance to return to his home base of Bay Pines VA Hospital in St. Petersburg, Fla., so on March 19, Ken Fabiani, Exalted Ruler, presented him with a gift card for $100. Each year, West Palm Beach Elks Lodge #1352 holds a fundraiser for Forgotten Soldiers, an outreach program for veterans who slip through the cracks and need help adjusting to civilian life. This year’s event raised over $16,000 from raffles, auctions and donations, $1,000 of which was from the lodge. In March, West Palm Beach Lodge hosted the Southeast District Army of Hope picnic which included a live dessert auction, bounce house, live music and more. The event raised $2,700. Plant City Elks Lodge #1727 is supporting the Florida Forest Service program Operation Outdoor Freedom which provides recreational opportunities to wounded veterans on state forest, agricultural and private lands in Florida. The lodge donated $350 to help with the cost of meals during one of their weekend excursions held March 29-31. 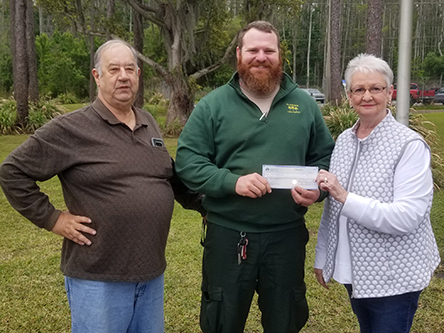 Ed and Judy Wise of Plant City Lodge’s Veterans Committee present a lodge donation for Operation Outdoor Freedom to Daniel Lacy, forest ranger. With help of a $4,500 Welcome Grant from the Elks National Veterans Commission, Jupiter Elks Lodge #2469 has hosted supply drives to support veterans who are homeless in Palm Beach County with care packages including bed sheets, bath towels, dishes, pot and pans, and many other necessities. 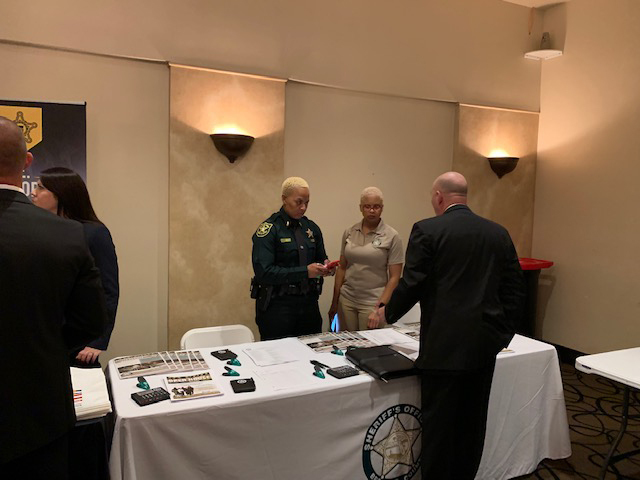 On Feb. 22, Miami Elks Lodge #948 in conjunction with the Miami Veteran Center, Department of Veteran Affairs hosted a veterans’ job fair with more than 80 employers including the FBI, United States Secret Service, U.S. Customs and Border Protection, DEA, SBA, local police and sheriff departments, Publix and Macy’s. There were 203 registered veterans and 78 family members in attendance at this event which was facilitated by Jorge Martinez of Veterans Outreach Program Specialists. Lodge volunteers served breakfast and lunch to the employers and veterans. T-shirts honoring veterans were given to attendees. 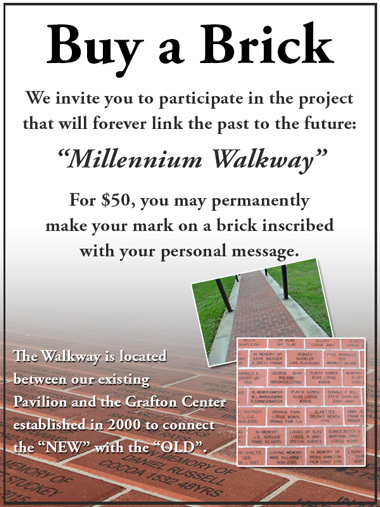 These efforts were made possible by an Elks National Foundation Beacon Grant. Lake Okeechobee Elks Lodge #2871 hosted the first of four planned Stand Downs for homeless and financially insecure veterans by utilizing the Elks National Foundation Impact Grant and purchased enough nonperishables for 110 baskets of food, 100 backpacks of hygiene products, vouchers for clothing, perishable foods, and vouchers for laundry services as well as provided hotel rooms for hot showers. On the fourth Friday of every month, veterans from the James A. Haley Veterans Hospital visit South Hillsborough Elks Lodge #2672 for dinner. They can order anything off the menu thanks to an Elks National Foundation Beacon Grant. Tampa Elks Lodge #708 utilized the Elks National Foundation Freedom Grant to treat veterans from the domiciliary to meals and live music at the lodge on a regular basis for the last seven months. The grand finale was a surf and turf dinner held March 15. The dinner was cooked by lodge members and served by members of the lodge’s Veterans Committee. The grant is spent, but the Veterans Committee plans to take over financing opportunities for these veterans, many of whom have become friends, to continue to come enjoy the company of Elks. Veterans from the domiciliary attend dinner March 15 at Tampa Lodge. They are pictured with Tampa Veterans Committee member, Carolyn Miller. Deep Creek Elks Lodge #2763 used its Elks National Foundation Beacon Grant to take a group of veterans from the Douglas Jacobson State Veterans Nursing Home to a preseason baseball game at Charlotte Sports Park between the Tampa Bay Rays and the Miami Marlins. Lunch and drinks were provided as well as snacks and drinks during the game. Each of them also received a souvenir from the game. 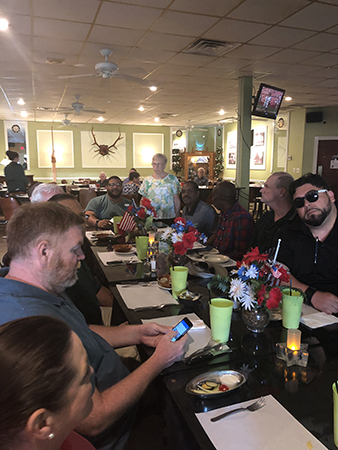 The Veterans Committee of Punta Gorda Elks Lodge #2606 hosts monthly luncheons for residents of the Douglas T. Jacobson State Veterans Home and served dinners to 25 veterans at the Veterans Village, a transitional housing program for homeless veterans in southwest Florida. The Punta Gorda Elkettes have created a new program called New Beginnings in which they provide an American flag-themed tote bag containing household items, cleaning supplies, toiletries and a $50 Walmart gift card to residents of the Veterans Village who will be transitioning to their own residence. West Citrus Elks Lodge #2693 named Jim Sleighter Citizen of the Year in recognition of his work as founder and director of Mission in Citrus. Mission in Citrus provides help and housing to veterans who are homeless. 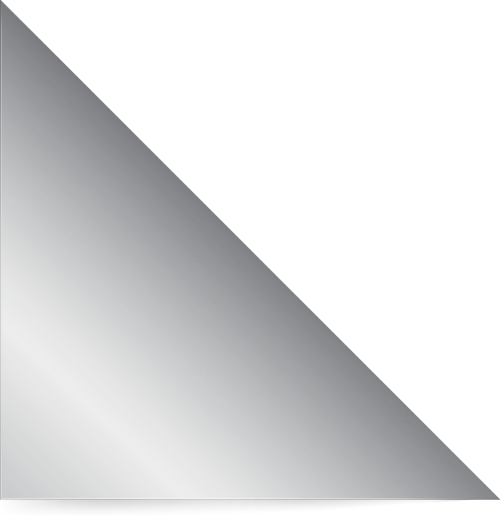 West Citrus Elks Lodge proudly supports Sleighter’s efforts and provides as much aid to the Mission as possible through the Veterans Committee and financial contributions. Jim Sleighter, founder and director of Mission in Citrus, receives West Citrus Lodge’s Citizen of the Year award from Brian Estus, Exalted Ruler. Twelve food baskets and gift cards were delivered to the Bill Kling VA Center for the female veterans by Pompano Beach Elks Lodge members.